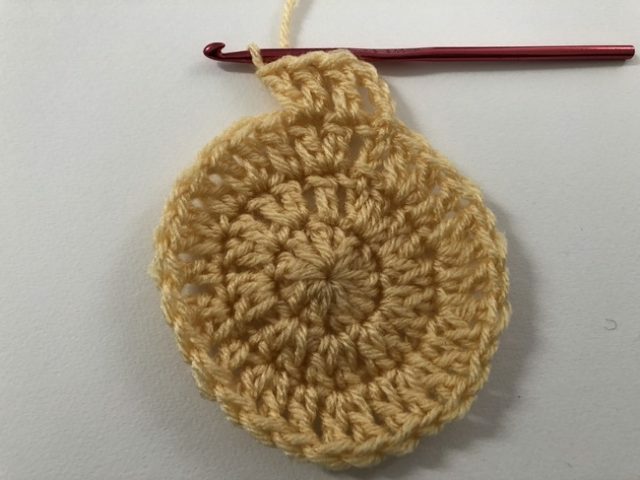 It is fun to learn how to crochet in rows and it’s a practical starting point, but at some point, you are going to want to learn how to crochet in the round. 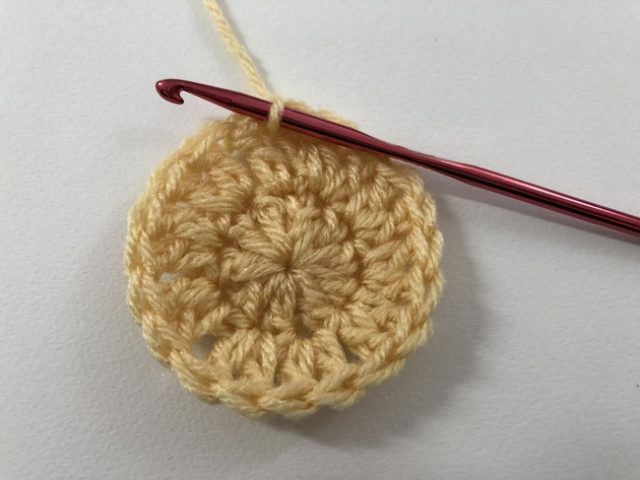 Crocheting in the round allows you to make circles, which can be used for everything from coasters to shawls. 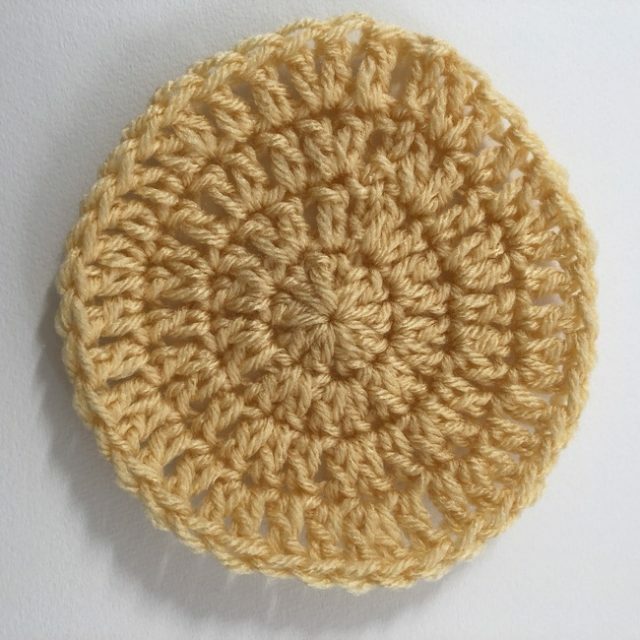 Crocheting in the round is also how you will make many crochet hats, some vests, and many other projects. 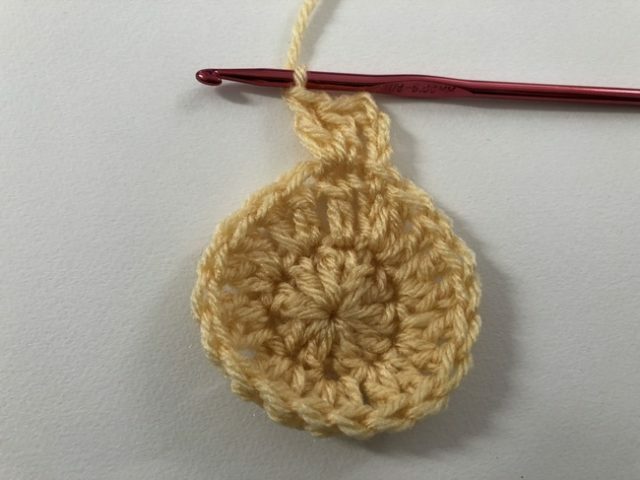 Learning how to crochet in the round begins with learning how to crochet a circle. 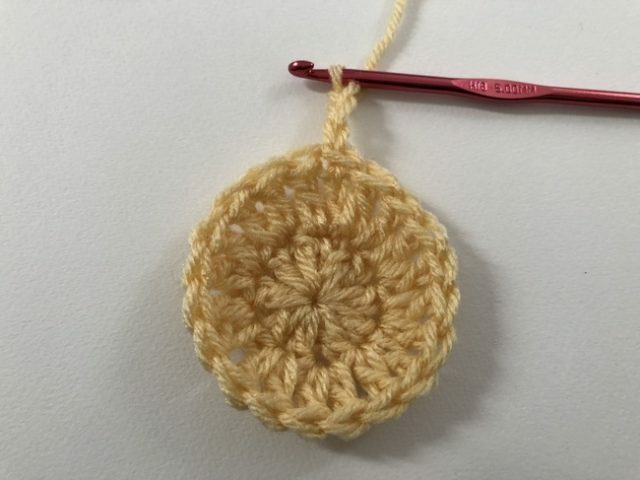 Here is a free double crochet circle pattern to get you started learning how to crochet circles, and then after that we’ll talk about some other things that you should know. Double crochet in the third stitch from the hook (the ones furthest from the hook). You now have two double crochet stitches side by side. Make eight more double crochet stitches in that same stitch, for a total of ten double crochet stitches. As you work, the stitches will naturally push each other aside to create a semi-circular shape; you don’t have to do anything to make this happen. Slip stitch to the top of the first chain three. This is how you “close” the circle so that it’s not just a semi-circle anymore. Double crochet in the base of the same stitch. The first chain three counts as a double crochet so you now have two double crochet stitches side by side in the same stitch. 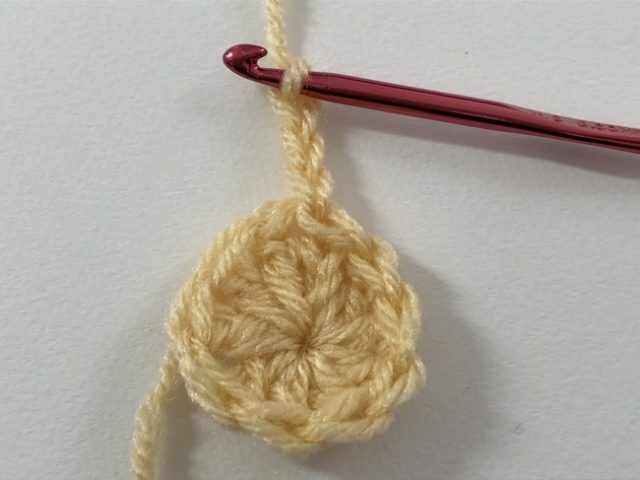 Make two double crochet stitches in each stitch around the circle. Since you had ten dc stitches in the first round, and you are working two stitches into each of those, you will end this round with twenty double crochet stitches. Slip stitch to the top of chain three to close the circle. 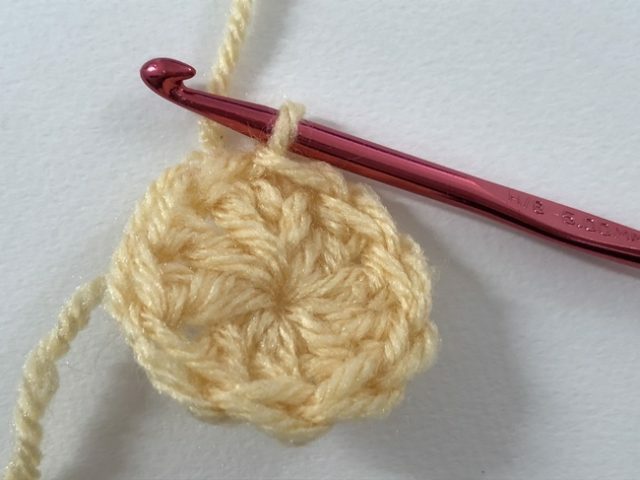 You will begin every round of the crochet circle the same way, with a “chain three” that counts as the first double crochet of the round. Work two double crochet stitches into the second stitch. You now have three double crochet stitches worked as 1 dc, 2 dc. You will repeat this grouping around the circle, working 1 dc then 2 dc all the way around. Slip stitch to the top of the first chain three to close the round. You should have thirty double crochet stitches at the end of round 3. Slip stitch to the top of chain three to close the round. You will have forty double crochet stitches at the end of the fourth round. 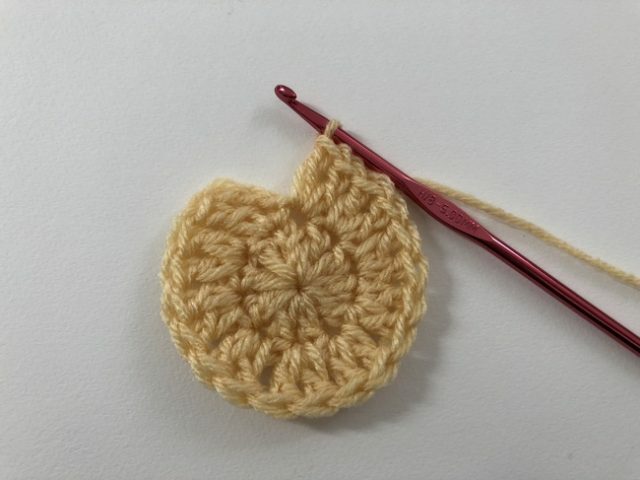 If you want to grow your crochet circle larger than four rounds, you will simply continue the pattern of increases. And so on. Note that the number of stitches in a grouping matches the number of stitches in the round. For example, round 7 is “dc in next 5 stitches, 2 dc” which equals seven stitches. 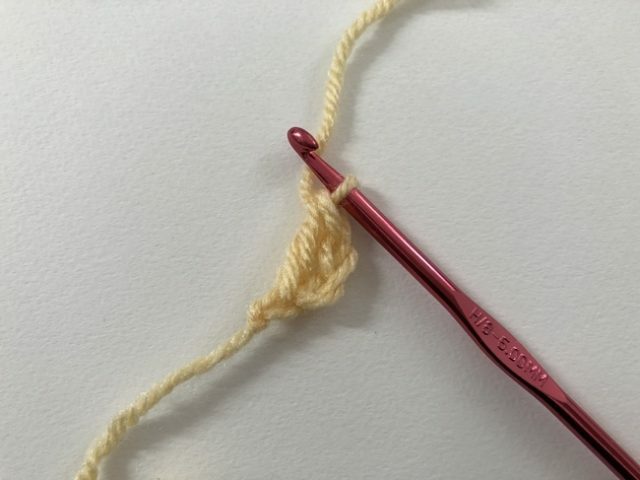 Since you started with ten stitches, your final stitch count for a round will be ten times the number of stitches in the grouping; so for round seven (times ten) you will end with 70 double crochet stitches. Work 2 stitches into each 1 to double the number of stitches for round 2. This strategic increasing is what allows your circle to lie flat. If you don’t do any increases, you will get a tube instead of a flat circle; fun fact: hats are made by starting with a circle that increases then doing some round without increases to get the vertical shape of the hat. If you do sporadic increases, you’ll just get a wonky circle. 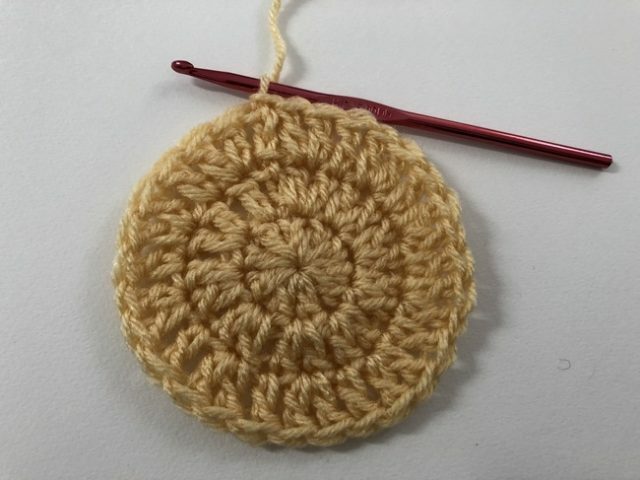 Although strategic increases are the key to getting your crochet circle to lie flat, the circle can also be impacted by the number of stitches that you have in the first round. The right number to start with depends on the height of the stitch that you’re using. 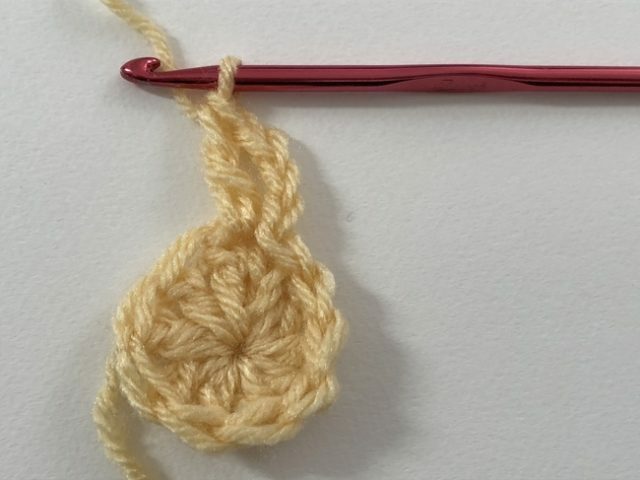 For double crochet, ten is a nice starting number, but you can vary it to start with anywhere from 8-12 stitches. 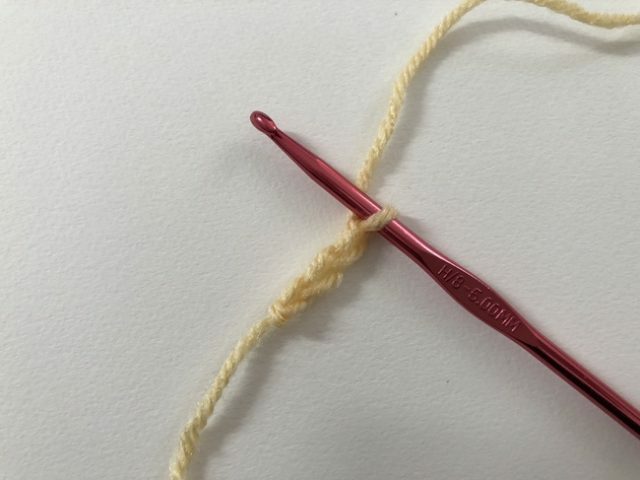 For single crochet, start with 6-8 stitches. 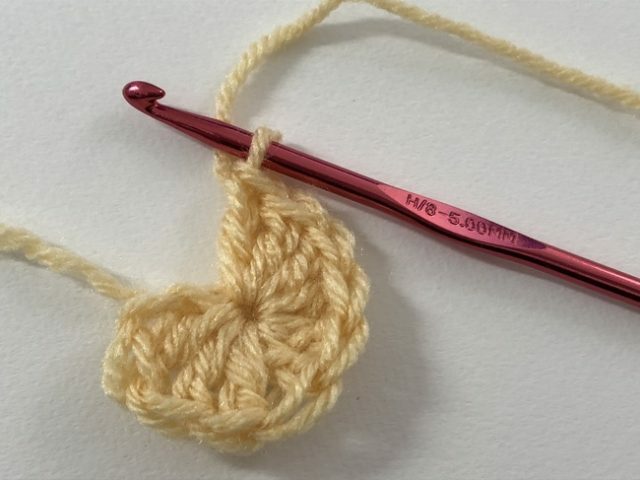 For double crochet, begin with 12-14 stitches. For treble crochet, start with 14-16 stitches. Sometimes your hook and yarn choice, as well as your tension, can impact the flatness of the circle. 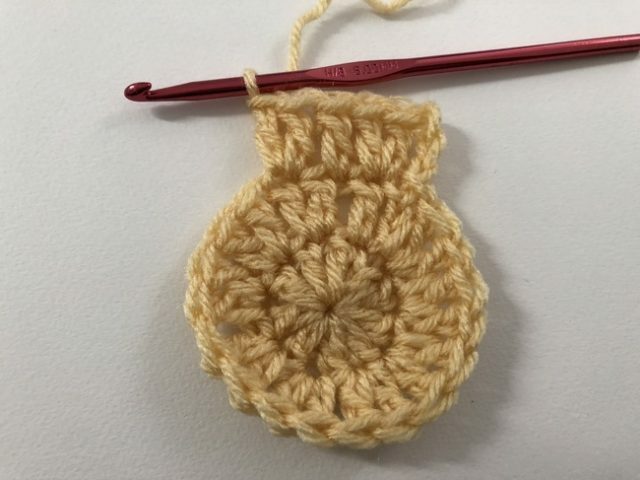 If you start a crochet circle and it starts going wrong after a few rounds, first make sure that you’ve ben increasing correctly. If you have, then try re-starting the circle with a different number of stitches.